Apple TV Remote version 2.2 is light on feature additions, but the update does include a rare icon change that more accurately reflects the software's capabilities. 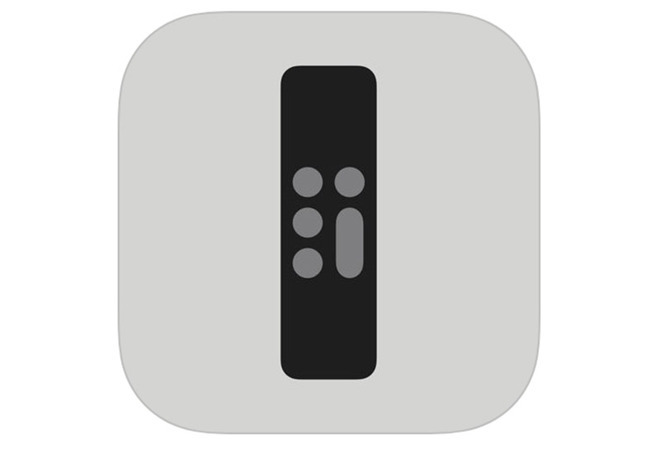 Taking the place of Apple TV Remote's old iconography — a black box with an Apple TV logo — is a gray squircle featuring a simplified rendering of Apple's Siri Remote. The two-tone icon is accomplished in a now familiar art style that is pervading the company's online promotional material and documents like product manuals. In addition to the icon change, Apple says the update includes general performance and stability improvements. Launched in 2016 as an iOS companion to the Siri Remote, Apple TV Remote effectively turns iPhone into a remote control for Apple TV hardware. Like its physical counterpart, the app enables gesture-based browsing, voice search and gyroscope-based game control. Further, with access to the iOS keyboard, Apple TV Remote enables faster text entry for app logins and in-app search bars. The most recent major update to Apple TV Remote landed in September with support for password autofill, compatibility with new portable device screen sizes and a new Control Center widget. Apple TV Remote is a free 14.2MB update from the iOS App Store.